Allow me to introduce my new fox. I’m rather relieved to have finally got the end of this one as there were several hiccups along the way. 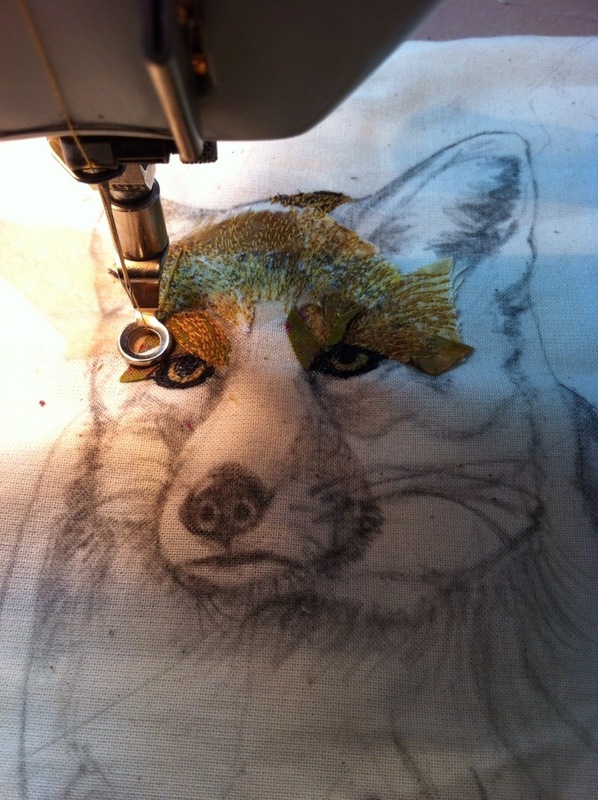 The fox himself, though he should have been the trickiest part, came trotting along very easily. 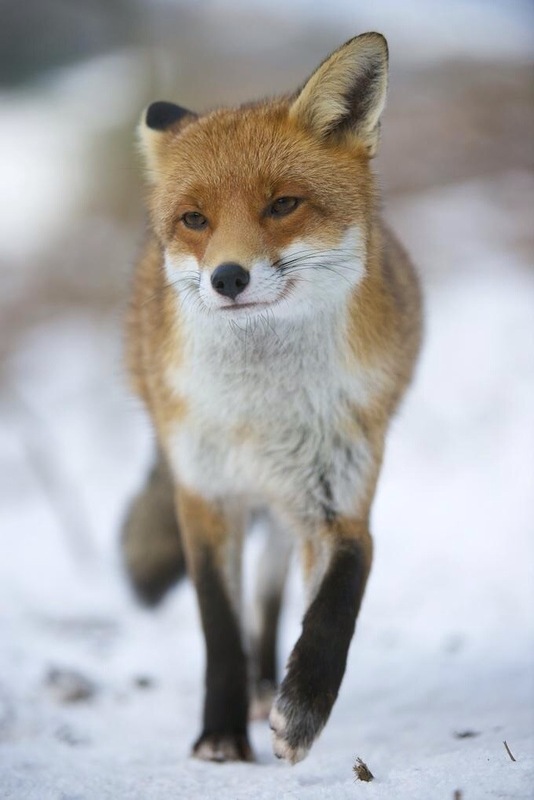 I was very lucky to come across the photographs of Richard Bowler who kindly allowed me to work from his brilliant photograph of this fox. Not being a very good photographer myself I am always grateful that others are skilled in this department and Richard’s photos are exceptional. 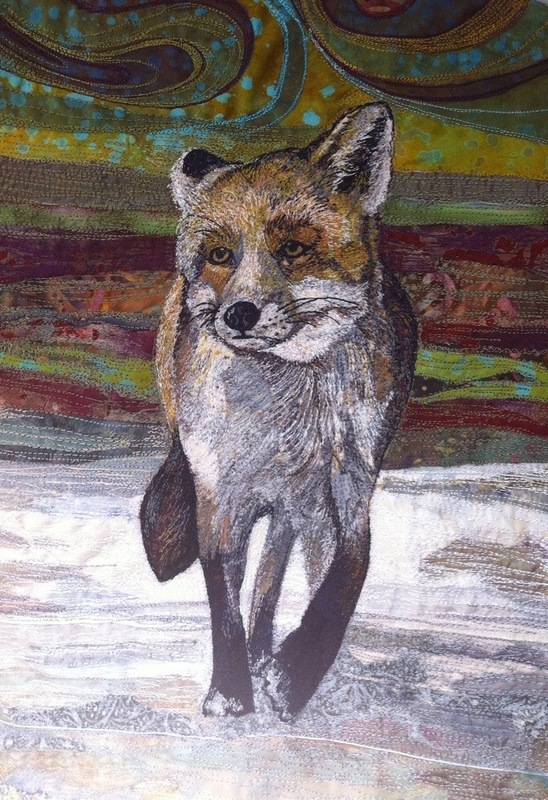 So with this as my inspiration I began to draw the fox and to try to capture it’s wonderful gait. 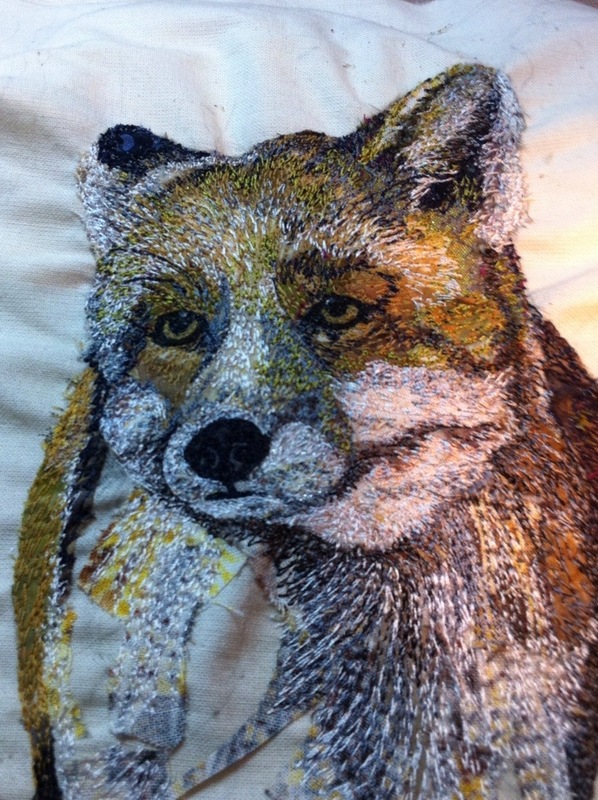 As I said the fox developed quickly and without any real issues and I was soon at a point where I needed to begin to consider the background. This is where the real problems began. I worked very hard on the background but I just wasn’t happy with how it looked. I always like to sit back from the work for a while and live with it. Usually if anything is going to bother me it will show itself quite quickly and sure enough after a couple of days I was sure I wanted to change the background. 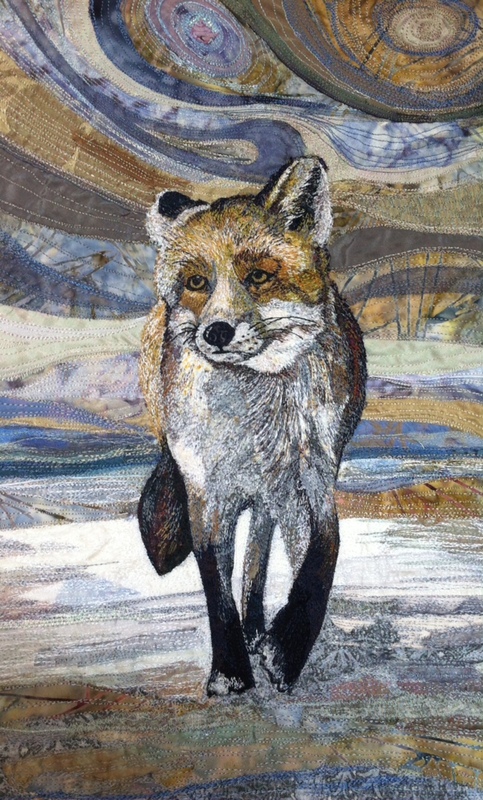 In the end I felt the colours in the background should be more muted, softer and in harmony with the fox itself. I’m much happier with this final version. I’m sure not everyone will agree with me but I know I would never have been happy with the first version. I agree with your second choice, he looked good in the first but it steps up to a whole new level of wonderful in the second! You are very talented and I am enjoying looking at your portfolio. Thank you for sharing your joy. Thank you Pam. Glad you think I did the right thing. Thanks for your positive comments. For sure the second choice is best even though I love the colors in the first one. OMG you are so talented and create such stunning pieces! Wonderful work! May I ask, how did you manage to change the background? Another layer of fabric…?